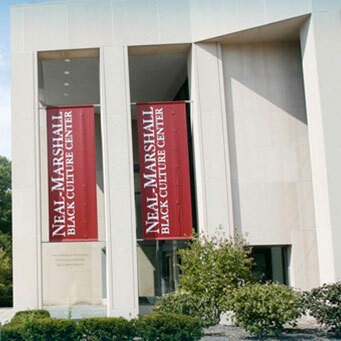 Lauren Blackwell stopped into the Neal-Marshall Black Cultural Center her freshman year after the student involvement fair not knowing what the building and center had in store. Now, Blackwell is in her fifth year as a student worker and helps organize and coordinate events at the center. The center has three significant events coming up this week alone, including the Freshman Pinning Ceremony on Thursday which invites any student who identifies as African American or black to attend and become familiar with black leaders from around the community. “We are inviting the freshmen to campus as a way to show they are appreciated and welcome,” Blackwell said. The center will also host Umoja Day on Friday. The event brings student organizations, local business, student services and others to celebrate black culture and network with people across Bloomington. Following this event is Black Alumni weekend and the annual Fish Fry on Saturday. Blackwell said that events are designed to allow people to enjoy food and socialize but, more importantly, come together as a community. Muhammad Saahir knows first-hand the experience of being included at the Neal-Marshall Center. Completing undergraduate and graduate degrees at IU, Saahir said he has been to many events at the center and the center even helped him pay for graduate school. Now, Saahir works in the center as the CAPS counselor. In terms of the events at the center, he said he enjoyed the Black Knowledge Bowl, an academic contest about African-American culture and history, butespecially the pinning ceremony because it really welcomed students onto campus as well as the community. Blackwell encourages students to attend both the Mid-Day House Party and First Friday events coming up at the end of this month and early October. “This a resource for the entire campus,” Saahir said. Blackwell said that with only 4 percent of IU’s student population indentifying as African American, the purpose of the center is to make people feel included.